Renaissance Resort Naruto is a Southern European Style resort hotel that let's you have a wide beautiful view of the Pacific Ocean right in front of your eyes. Depending on the location of the room, you can see the rays of the sun stretch onto the ocean in the afternoon. At night, let the sound of the waves be the background music to your relaxing stay. 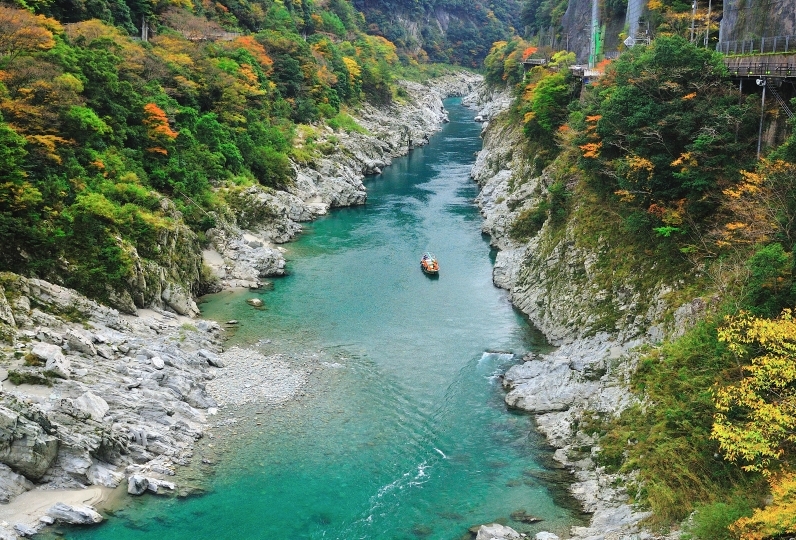 Onsen is already known as the bath of beautiful people but the natural onsen here are even a rank higher. Let the sea salt breeze comfort you while you enjoy your bath. The onsen "Ruri," located on the eighth floor is scented with various seasonal citrus fruits to offer a soothing and healing bath. The restaurants inside the hotel are all capable of providing guests with a taste of Naruto's fresh and seasonal cuisine. The food will leave you with a smile and be a topic of conversation. Treat yourself and loved ones to an exquisite meal here. A wide variety of facilities and activities contribute to the glamour of this hotel. The Awa Odori needs a special mention. The Awa Odori is a dance that has not changed its form for 400 years and continues to be a traditional and cultural experience that will never be matched. 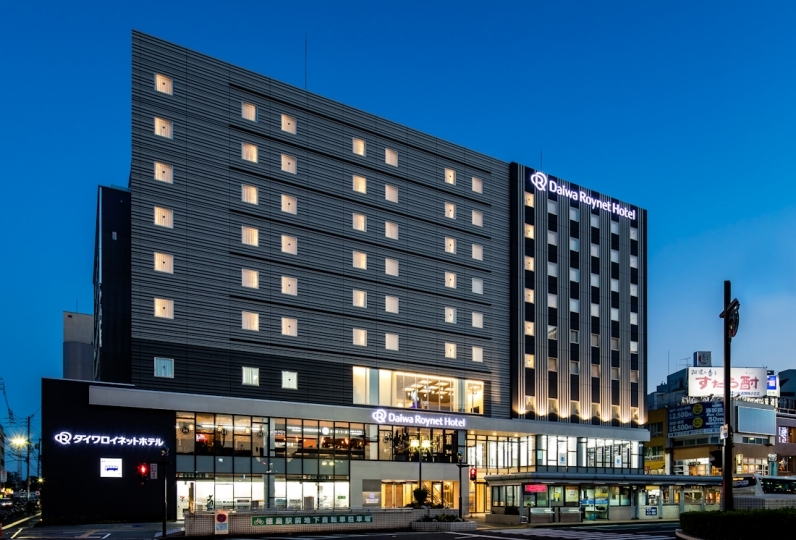 This hotel resort promises a complete holiday filled with the taste and culture of Naruto, Tokushima. Even though it was a large hotel, each employee was a courteous service. Above all, the tone to speak was soft and healed. Everyone smiled wonderfully and I was able to spend pleasantly during my stay. I felt that I saw the origin of the hospitality! I stayed for two days, but I was surprised at the preparation of the second day's lunch and I was saved. The room is also clean and looks like Hawaii. I went home after enjoying Naruto. Thank you very much. I was able to spend a very happy time. Thank you very much. The reception at the front desk was sorry anyhow. Because it is with other hotels, and even the location of the room was not explained, I asked another person later. We were also charged for the facility fee for children who was supposed to have paid. Language is not suitable for customer service either. There are outdoor baths and outlook baths in 4 different places for you to enjoy. 1st Floor Outdoor Bath "Hanada"
The sea salt wind from Naruto Sea shaped the rocks of this Japanese outdoor bath. Depending on the season you will  be able to see sun rise from Awaji Island. 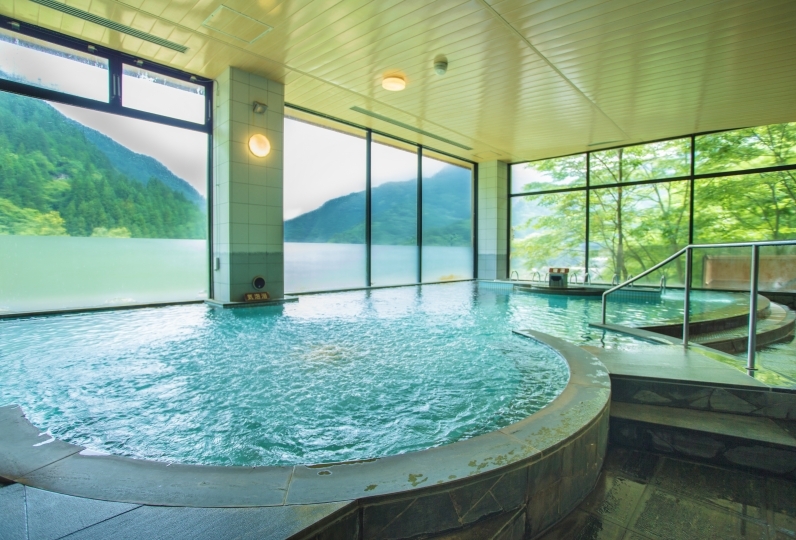 In this onsen also named "Beauty's Bath," you can see the wide sea. The water is scented with a variety of in season citrus fruits. You can see the wide sparkling sea as you get your treatment. This is an elegant way to spend your day off as you become even more beautiful. You can go fishing, cruising and do other activities on the sea of Naruto. During summer time, you can enjoy different marine sports as well. This outdoor pool will make it seem like you are at a resort. There is a Kiddie pool that is only 80cm deep. In the fishing pond you will be able to fish Sakuradai and other expensive fish. You can bring the fish that you caught to the restaurant, and the cooks will prepare it for you to eat. The reflection of light form the sea shines through the stainglass depiction of Jesus and Mary. You will be able to do marine sports, cycling, trekking and other activities. You can pick and taste produce such strawberries and Naruto seaweed. You can try making Awa Odori Udon. This experience will be very valuable. 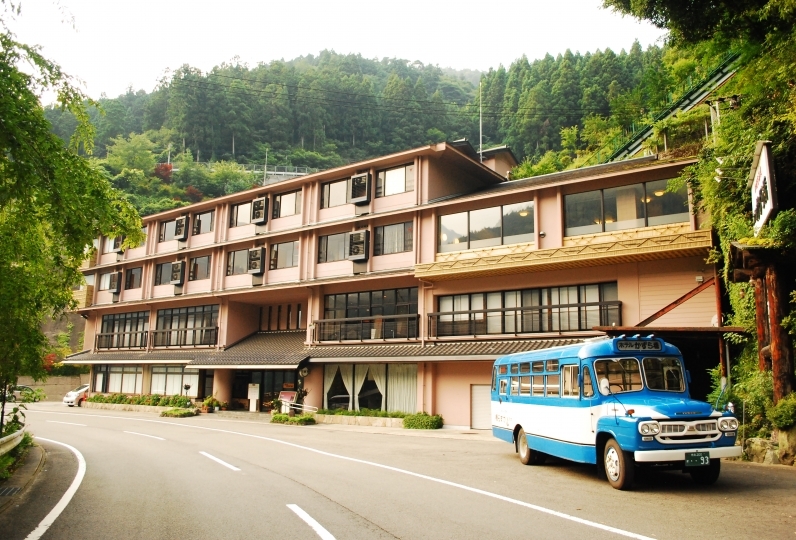 Tokushima Awadori airport Bus stop -> Tokushima Bus[ Bus bound for Naruto Kouen Yuki] Approx 30min -> Get off at "OOke"
*Naturo expressway to Hotel (Approx 10min), there is a free shuttle bus that needs to be reserved ahead of time. Please visit official web page for more information. * You can also go by bus from Namba and Kobe. Using this bus has additional costs. Please visit the official hotel website for more information.